← What Happened to Time? We go through the motions every day, every week, every month till the year has run out. So many times I hear people say — I just can get anything accomplished – or – Different week, same stuff. Both sound like dead end something’s. If you’re working on a task or project and just seems like your spinning your wheels and not accomplishing anything, you’re right. Or if your work just seems to pile up, day after day, and there’s no end in site…something needs an adjustment. Is it you or your work? We ignore ourselves in order to make room for other things and people. The question is: Is it or are they worth it? Time is extremely valuable and time spent on ourselves, in my book, is even more valuable. I’m extremely guilty of spending more time on everyone else and other things, simply because I get lost in the moment and believe something else is more valuable than time spent on me. Well…for the past two weeks, I didn’t do that. First I spent a day at the spa — all day for a head to toe treatment of “Ahhhh” then off I went with a friend to see “what’s happening” in the Northeastern states. No, the leaves weren’t changing colors yet, but we did discover great Maine lobster, sailed, shopped antiques, ate all kinds of foods, walked up and down quaint villages and met some wonderful people. 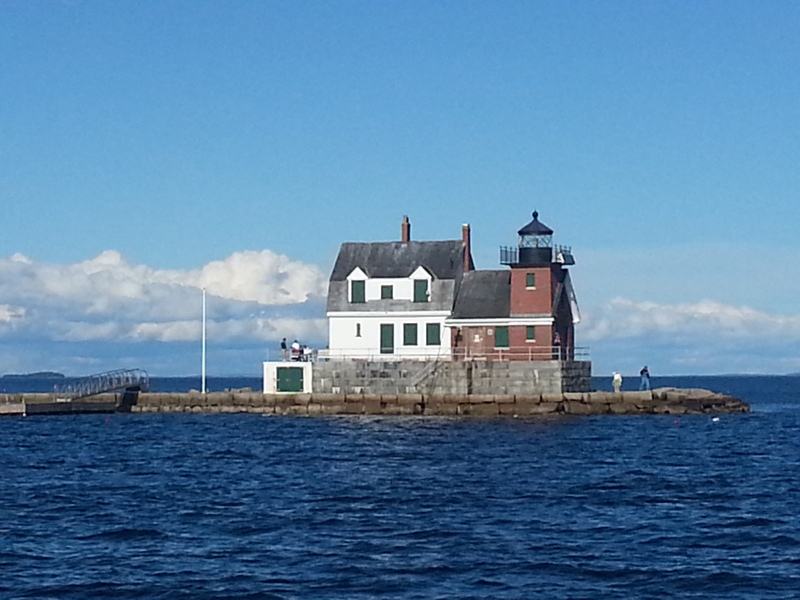 Sailed past this lighthouse on the Isaac Evans Schooner. Each evening we would return to our room with a sense of “Wow, what a great day” type of feeling. I had every intention of writing in my journal of all the things we accomplished, saw or experienced and mention all the great and wonderful people we met, but I was so exhausted that as soon as I sat on an overstuffed mattress fluffed with a duvet cover — the sand man would take over and sleep would over come me. Now that I’m home again, I can’t believe I waited so long for this over due vacation. So many times over the past few years, vacations meant I met up with family for funerals, reunions or putting out fires. Now that I have reset my definition back to what a vacation really is…I’m making plans for next year. While it’s important to take care of those you love and pay attention to things required to make our lives affordable — we can’t lose site of what matters most – and that’s our own minds & bodies. Because without a strong mind and healthy body, we can’t help others. This entry was posted in Intro'd and tagged American lobster, Business and Economy, Food, life coach, Lobster, Maine, mental-health, New England, relaxing, Shopping, spa, United States, vacation. Bookmark the permalink.